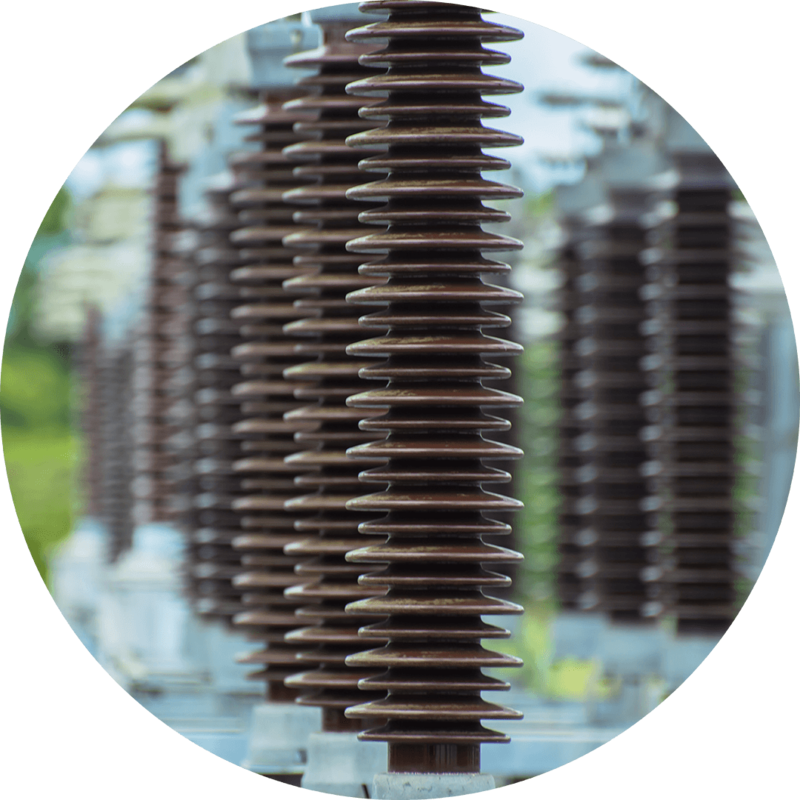 Station class arresters are devices with a single phase function of surge protection by zinc oxide varistors. They are manufactured according to standards UNE-EN-60099-4/CEI 99-4. Polymer housing with extended creepage line and excellent performance on high polluted areas, in one single housing much lighter than their counterparts with ceramic insulators and completely assembled at the factory. In applications requiring high levels of mechanical strentgh ratings, there are specific models with ceramic insulators and depending voltage rating, with modular construction. Very high energy absorption capabilities, classes 2-5 are available according models, and with currents withstand capacity of up to 63 KA.